It all began on 2nd of June. We were concrete bashing and jack hammering on the slip when the volunteers spotted a duck leading her chicks out into North Haven. Ed and the volunteers watched the little family reach Rye Rocks but they did not get any further - a gale was blowing and it was pouring with rain, the gulls had seen them too and picked them off one by one for breakfast. 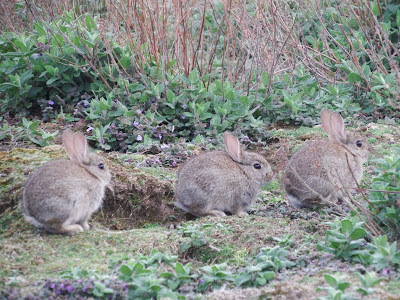 Two hours later Ed heard a "pip pip" through the noise of the jack hammer and suddenly a little duckling crawled out of the ivy - it had been left behind and had escaped the gulls. What do you do with a duckling which is no more than a few hours old? Well the volunteers put it in a hat and everyone went back to work. It turned out that the duckling was still sat in the hat when the work party broke off for lunch so Ed brought Kraken up to the house. By then Leighton had named the duckling after a sea monster. Kraken has grown a lot since we got him. He now does proper adult like whistling noises and exercises his wings daily: He runs through the house at great speed flapping his little stumps frantically. Have a look at this video to see him "fly". He is so funny and interesting and has enchanted the entire island. Now that Kranken takes part in bird log we have many more participants. By the way, if you haven't already noticed, Kraken is a Shoveler. In two to three weeks Kraken will have all his adult feathers and then we will try and release him or her on North Pond. 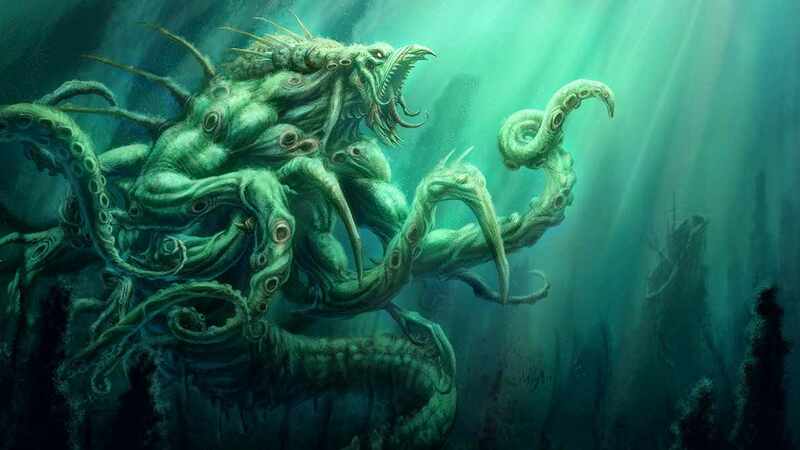 We will keep you updated on Kraken's progress. 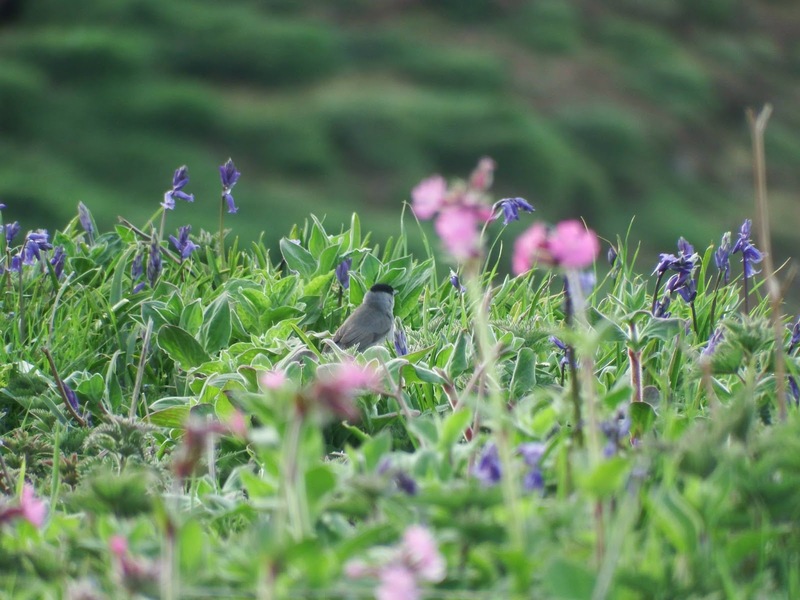 June is a very busy time on the Island for us, not only are visitor numbers at their maximum but we have to count all of the islands seabirds, not once but twice. 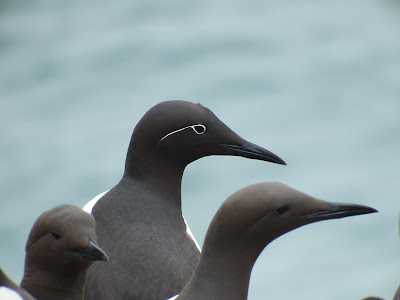 This involves taking the boat out and individually counting (clicking) each and every Guillemot, Razorbill, Kittiwake, and Fulmar. Some days can be easier than others, but yesterday we were treated to a spectacle unlike anything we have experienced ever before. 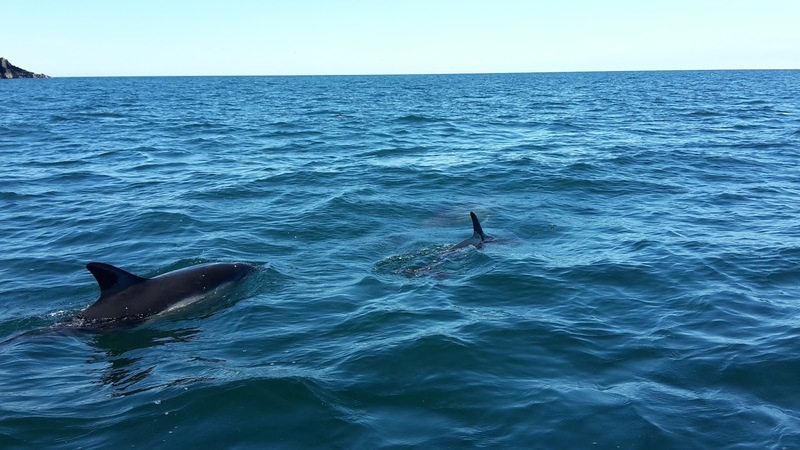 As we drifted with the tide we were approached by four Common Dolphin which circled us, swam underneath the boat and got so close it seemed they were within touching distance. See below for our underwater video and pictures. If you look closely at the top of the frame you can see the cliffs full of seabirds we were meant to be counting! The Dolphin stayed for around ten minutes before drifting slowly off to the West. Having spent last season working on the island, I was keen to go back and catch up with the old faces and meet the new ones. 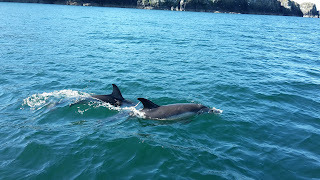 While I was mulling over the whens and hows of visiting the island I saw some great wildlife photos on facebook taken by my nephew Josh, aged 10. It’s great to see kids taking an interest in the natural world and after a quick phone call to his Mum we agreed to meet up and take him to the island. Excited does not begin to describe how Josh was feeling, but my Skomer experience had some alarm bells ringing as I looked at the weather forecast for our chosen weekend. Strong north westerlies and big swells were forecast, too much for the Dale Princess to cope with. Luckily on the day before the trip the forecast changed, and we woke up on Saturday morning in Milford Haven to clear skies and sunshine. I’ll let Josh tell you the story of the rest of our visit through his own words and photos – Andy Bramwell, former Visitor Officer. When we got on the boat, I could see Skomer in the distance. It was bigger than I expected. As we got closer you could start to see the Guillmots, Razorbills and Puffins flying around. 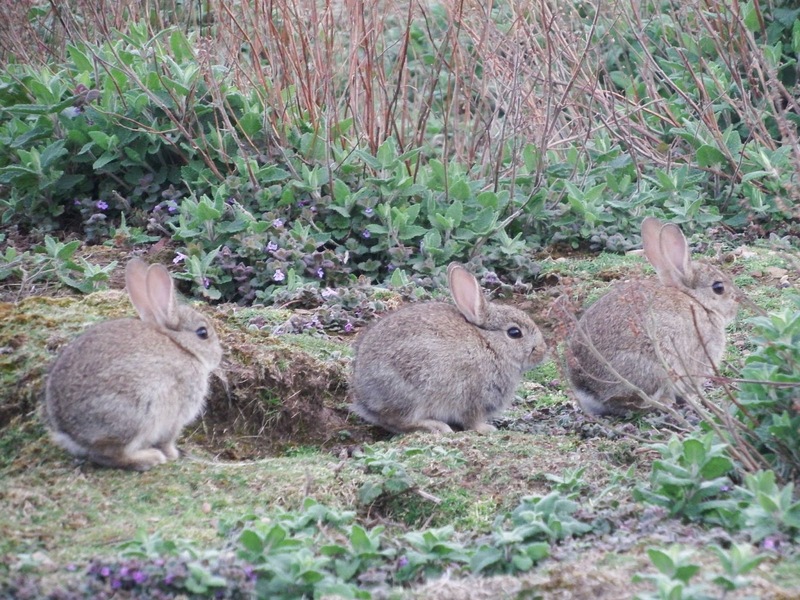 Getting off the boat we could see the billions of burrows on Skomer Island. On the right of me there were Guillmots only a metre away, and on the left were two Puffins preening each other. As we walked up the many steps, we could see the Swallows and House Martins flying above us. It was a whole other world. 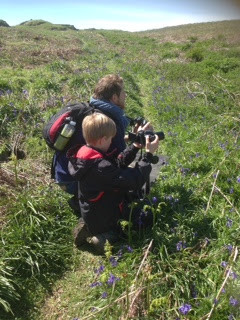 We were walking across the cliff face when I spotted a Willow Warbler and a Sedge Warbler amongst the ivy in North Haven.We put our bags in our room and we headed off on our tour around the island. Looking around the island we saw Peregrine Falcons being attacked by sea gulls. As we continued our three and a half hour walk, we turned inland towards the farm walking through the Bluebells. 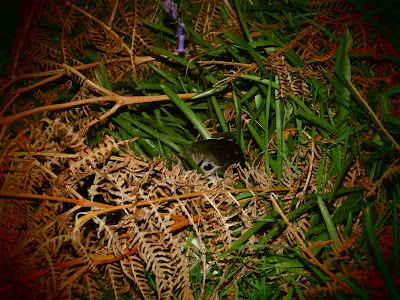 I looked in amongst the ferns and on a rock I saw my first Meadow Pipit of many and I was able to photograph a male Blackcap. Up in the skies we saw Ravens and Buzzards circling looking for food, possibly the Skomer Vole and rabbits which there are millions of. 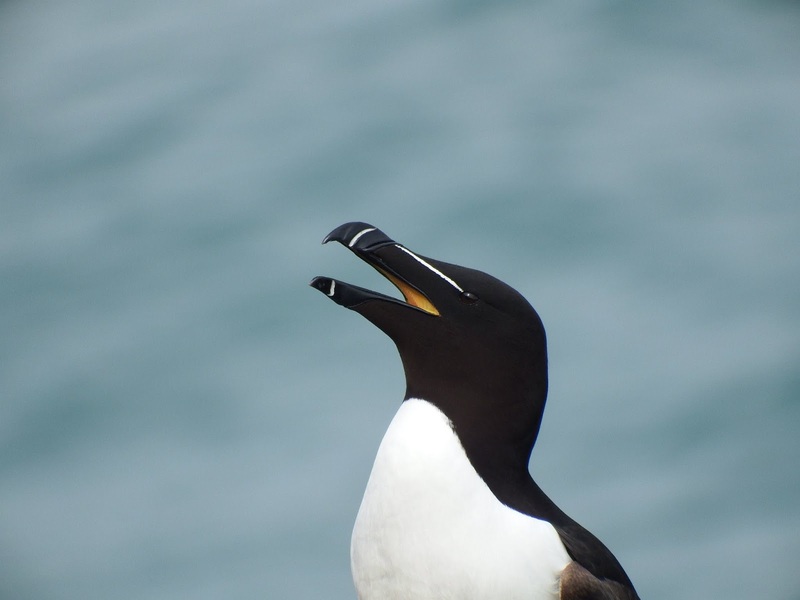 We approached the cliff faces and were able to see the Guillimots and Razorbills sitting side by side on their nests. The birds covered every inch of the wall. Carrying on to the Wick we observed many Puffins poking their heads out of their holes and flying off. When we finished our walk we went back to North Haven and on the path there was an extremely rare Turtle Dove. There was a frenzy of excitement as all of the researchers and the wardens came out with their binoculars to see this incredible bird. 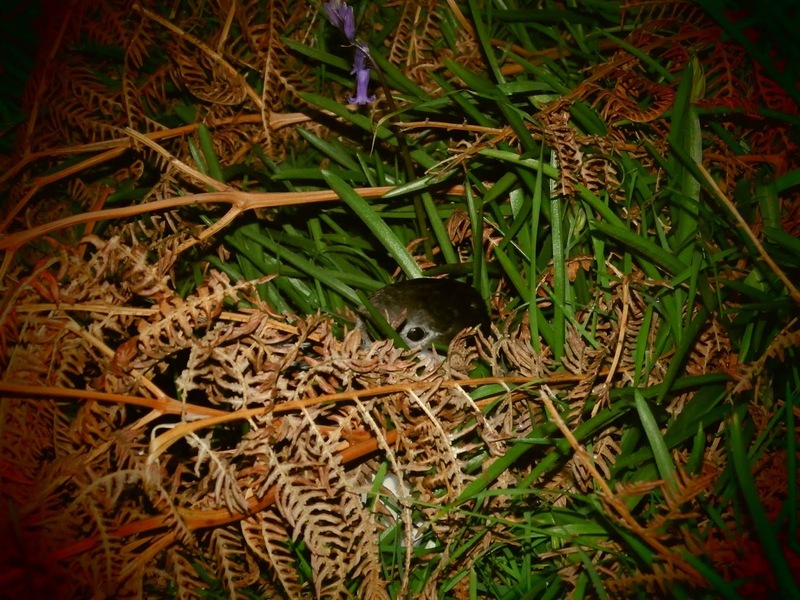 I was lucky enough to be allowed to help the researchers Ollie and Sarah get information about the Manx Shearwaters by taking them out of their burrow to see if they had any eggs and which gender they were. I had to put my hand down the hole which was daunting at first because you never knew what was down there. My third time trying it, I felt a nice soft bird. I then got a bit closer and was pecked sharply on the finger! I pulled it out the hole and the Manx Shearwater pooed on me! Sadly we didn’t see any owls but there are two types on the island, the illusive Little Owl which you usually see on the stone wall running behind the hostel, and the Short-eared Owl which you might see at dusk in North Valley. After a delicious curry, and Jason’s bird log, we walked back to North Haven at around 10.30 at night. It was pitch black and we had no idea where we were going! 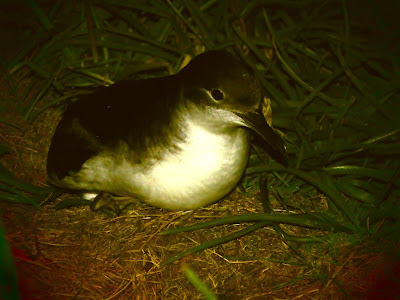 Thankfully we had our torches but we also had to be careful of the thousands of shearwaters coming out of their burrows to swap incubation duties with their partners. 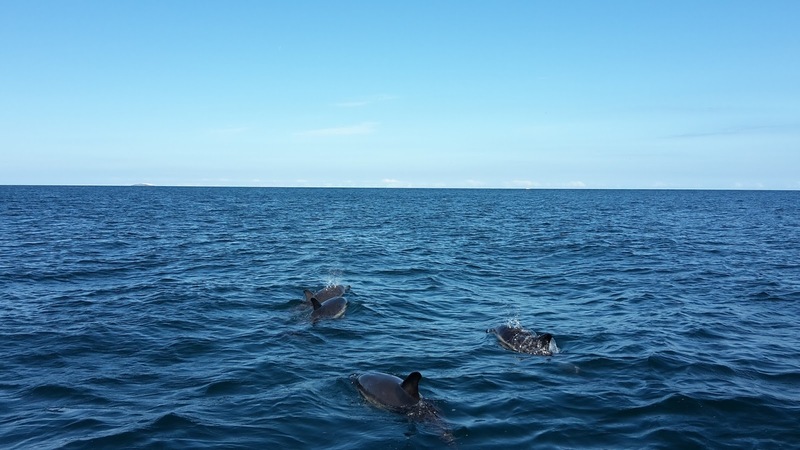 Our friend and guide Andy said it was one of the best nights to see them. You had to be careful that you didn’t step on them on the path, and also on the toads. The next day we went to the hides at North Pond and Moorey Mere to see the Shelducks, Shovelers and Mallards. 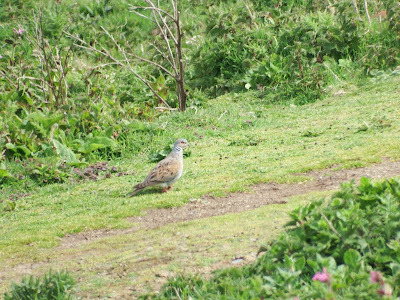 We also saw a rare bird for Skomer called a Ruff. At first we thought it was a Redshank but then Eddie the warden took a look and told us what it really was. 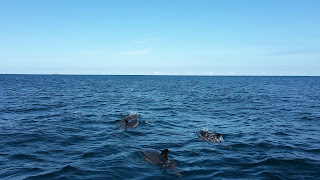 On the boat journey back to mainland Wales we saw Harbour Porpoise and Grey Seals swimming near the boat. It was a great trip!